Nitish Kumar, the man once seen as a potential Third Front's Prime Minister remains a Chief Minister - and is at a historic low in his career. As the country heads towards the 2019 general election, the BJP is not inclined to give him too many seats in Bihar, arguing that he is not a vote-catcher anymore. Some of Bihar's BJP figures are suggesting that the number of seats given to Nitish's JD(U) should not cross into double digits (the state has 40 parliamentary seats). Nothing is of course certain, but the hard bargaining has already begun. That is why, after his defeat in the recent by-elections in Bihar, Nitish suddenly suggested that he never wanted to contest against Lalu Yadav's RJD in Jehanabad (assembly by-election), but did so only because the BJP pressured him. Nitish could have refused (he is the Chief Minister after all) and presumably the BJP did not hold a gun to his head. In fact, well-placed sources say the JD(U) campaigned vigorously and hoped to defeat the RJD candidate as they presumed a combined vote-share with the BJP's would be adequate for the job. Instead, the RJD won Jehanabad by 35,000 votes in spite of chief Lalu Yadav being in jail. After the by-election results (where two of the three seats in Bihar were won by the RJD and one by the BJP), Nitish's conscience has suddenly resurfaced and he is also speaking up against "communal forces" (yes, the same ones with whose support he now runs a government in Bihar). It's all rather sad for the man who had such a good governance record at one time and a promising career ahead. He is currently, in the words of a Bihar BJP MP, "na ghar ka, na ghaat ka (belongs neither here nor there)." The reason Nitish has begun to speak out is partly to give himself an alibi for the by-election defeat and partly because he is stuck in an alliance where the BJP now believes it is more powerful than the JD(U). 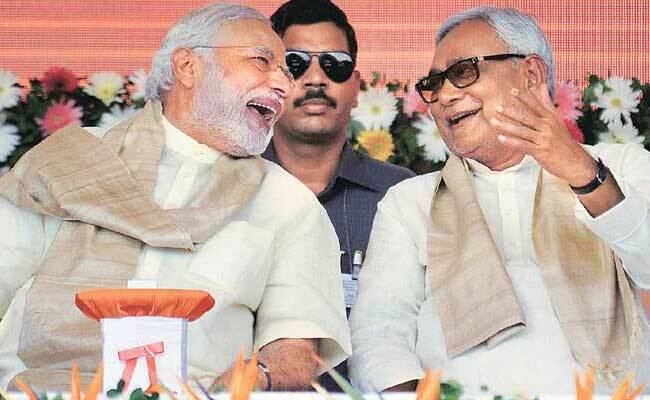 The old seat-sharing understanding between the two parties that remained intact till the 2009 general election worked on the formula of the JD(U) contesting 25 seats and the BJP 15 (In 2004, it was 26 JD(U) and 14 BJP). The script changed in 2014 as Nitish did not fight as part of the NDA having ended the alliance over it being led by Narendra Modi, whom he then viewed as an unacceptable and divisive figure. The JD(U) won just two Lok Sabha seats, the BJP with its allies (including Ram Vilas Paswan's LJP) won 31 seats, while RJD-Congress got seven. Subsequently, Nitish retrieved ground by fighting the 2015 assembly election with the RJD that always had a larger vote-share than the JD(U); Lalu's was also the party he had traditionally been in opposition to. The RJD-JD(U) sought a mandate against the BJP and won, but by late 2017, Nitish ditched the RJD to again form the government with the BJP. So many ideological contortions in the span of a few years have taken their toll and the balance that he maintained quite successfully for a decade is now gone. Nitish is clearly floundering: the recent by-elections were the first test of his standing on the ground after his political adventures (and misadventures) and he has come a cropper. The signs from the ground are ominous for him. In spite of always being an ally of the BJP, Nitish Kumar had till the 2010 assembly elections managed the feat of getting one-third of the minority vote in the state along with his carefully-crafted constituency among EBCs (Extremely Backward Castes) and a section of the Dalits. As his own Kurmi caste is not numerically strong, it's always been important for him to stich up rainbow social coalitions. That is now unravelling. The minorities this time have left him en bloc while the other social groups are also abandoning him. In Jehanabad, for instance, Dalits voted overwhelmingly for the RJD, partly because Jitan Ram Manjhi, a one-time member of the NDA, crossed over to the RJD. If the BJP continues to push Nitish, where can he go? 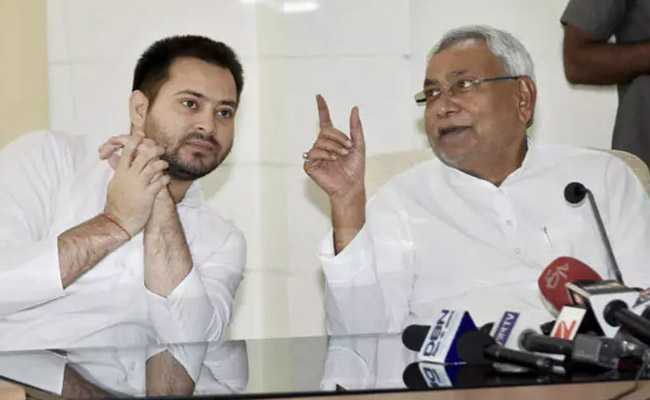 If Lalu and Nitish could get together in 2015, it could happen again but seems unlikely after all the vitriol in the public space following Lalu going to jail and the emergence of his son Tejashwi as the main RJD campaigner. Nitish's best bet still remains in staying in the NDA but pointing out to the BJP that their voter blocs tend to be overwhelmingly upper caste. He does bring the facade of social justice and "secularism" to the alliance. This mattered in a state where Hindu-Muslim rifts, manufactured or real, have not been mined as successfully as in neighbouring Uttar Pradesh. Tejashwi Yadav with Bihar Chief Minister Nitish Kumar. 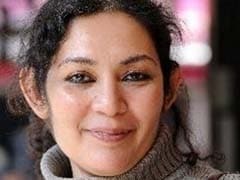 Not that BJP leaders have not tried: a rash of communally-charged incidents and statements in the course of the by-elections and after the result are in the public domain. Which is also why Nitish is currently posturing on communalism. All he has to do is begin prosecuting the son of a prominent BJP leader, accused of inciting communal violence, and, for a change, put his money where his mouth is. If Nitish is to be believed any longer, he has to give people reason to trust him. In going against the popular mandate of 2015 and abandoning Lalu for the BJP, he breached the trust of the people of Bihar, whatever his reasons may have been. Nitish's stated reason for ditching the RJD was "corruption" while he had earlier walked out of the NDA because of "communalism". He is indeed between a rock and a hard place of his own making, and the ground beneath his feet is shrinking.